প্রচ্ছদ/United Kingdom/What an independent Scotland could look like? What an independent Scotland could look like? Scottish referendum: What would an independent Scotland look like? It’s September 19th. The alarm clock goes off – and you find yourself hearing the unexpected on the news: Scotland has voted to become an independent country. What on earth happens next?The creation of the world’s newest nation wouldn’t happen immediately. Scottish people would still need treating by doctors. Scottish children would still need teaching in schools. British drama students would continue to feel the need to put on a show at the Edinburgh festival fringe.But actual independence would be guaranteed, because the British government has made clear the result of the September 18th referendum will be final and decisive. Negotiations would immediately begin between London and Edinburgh, working out the details of the divorce. 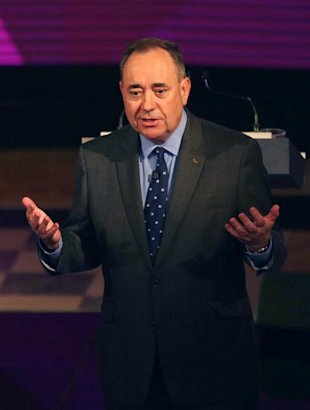 Alex Salmond hopes a ‘yes’ vote would lead to fully fledged independence taking place on March 24th 2016. Elections to the Scottish parliament would take place in May 2016, after which a convention would be established to set up this new country’s constitution. Meanwhile, Scottish people, stunned by the enormity of their decision, would slowly begin to realise that the place where they live is changing for good. Exactly how is a subject of some dispute, however. In short, the ‘yes’ campaigners think Scotland would be a better place to live. The ‘no’ campaigners, helped by a series of unionist analysis papers produced by the British government, have outlined in some detail how they think it would be truly terrible. Here’s a rundown of their two visions in the key areas. ‘Yes’ supporter: Prepare to get rich quick, Scotland. Your average Scot will be £1,000 better off a year under independence. They’ll enjoy the benefits of Scotland controlling its North Sea oil completely – especially as this is expected to increase over the next five years. Britain has some fairly decent assets worth nabbing, too. ‘No’ supporter: Prepare for poverty, Scotland. Your average Scot will be £1,400 worse off a year under independence. They won’t be allowed to keep the pound, which the nationalists had been counting on. And they can expect to take their fair share of Britain’s national debt, too. ‘Yes’ supporter: Scotland will gain a new sense of importance on the international stage, joining similar-sized European countries like Norway. Its national interests will be promoted on the world stage in institutions like the European Union. Scotland will establish a network of embassies around the world. Salmond will become a global statesman. ‘No’ supporter: Scotland’s interests will no longer be represented by the United Kingdom, one of the most influential nations in the world. It will struggle to gain membership of the European Union – especially if it argues with the rest of the UK about its share of the national debt. And if it does rejoin the EU, it won’t get the same favourable terms the rest of the UK enjoys. Scotland will become irrelevant. ‘Yes’ supporter: Scotland will become a non-nuclear state, ejecting the UK’s naval base at Faslane and saving its share of the £100 billion bill of being a nuclear power. Instead it will spend its defence spending on capabilities more suited to a country stuck out in the North Atlantic: ships, air reconnaissance, etc. National security will be protected by its ongoing membership of Nato as a non-nuclear member. ‘No’ supporter: Scottish defence firms would be locked out of winning UK contracts. The shipbuilding industry in Scotland would shrivel. Scotland would lose out on the expertise of Britain’s world-class intelligence agencies. And Britain would try its hardest to keep the Faslane base for many years to come. ‘Yes’ supporter: Scotland will replace the BBC with a Scottish Broadcasting Corporation paid for by the existing licence fee. But Scottish viewers will continue to enjoy the benefits of the BBC’s television output, as do viewers in 75 overseas countries. ‘No’ supporter: Scotland’s SBC will be such a small-scale operation it wouldn’t be able to afford risky big-budget dramas. Scottish taxpayers will have to pay through the nose to watch the BBC, as do viewers in 75 overseas countries. Watching EastEnders and Doctor Who will, ultimately, cost more. ‘Yes’ supporter: Travelling to and from Scotland will remain just as easy as it is now to get to Ireland, the Isle of Man and the Channel Islands. This reflects the broader ‘social union’ which continues to bind the nations of the British Isles. Scotland would not join the EU’s Schengen area of EU countries which have scrapped rigorous passport checks at their borders. ‘No’ supporter: If the Scottish government decided to adopt a very different immigration policy to the rest of the UK, border controls could become necessary. And anyway, Scotland’s Schengen opt-out will require it to establish watertight land, sea and air borders with states outside the Schengen area – including the UK. A NO campaign banner near Selkirk in the Scottish Borders. (PA)PUBLIC SPENDING’Yes’ supporter: The NHS will remain in public hands – unlike in the rest of the UK, where it is being privatised. The level and allocation of Scotland’s budget will be decided in Scotland – enabling the SNP’s priorities of guaranteed free personal care and free tuition fees for students. The Scottish constitution will promise entitlement to public services and a decent standard of living. ‘No’ supporter: Scotland couldn’t afford to keep its existing levels of public spending. Paying for pensions will put massive pressure on the Scottish government’s finances, meaning Scottish people would have to work for longer. Taxes will have to rise from 38% of GDP at present to Scandinavia’s average of 46% of GDP in order to provide services of a comparable quality. Ouch. What the nationalists dreaming of independence want voters to imagine is not so much what breaking free from the rest of the UK would look like, as what it would feel like inside. Independence is an emotional idea: the creation of a new country would transform the entire British Isles, but for the Scots it would mean facing up to all the challenges and opportunities of going it alone. As a country in its own right, Scotland would lose a lot of the clout its association with the rest of the UK brings. It doesn’t, in all honesty, look particularly attractive. But nationalists will be hoping the vision of political independence they’ve got a chance to achieve on September 18th will win over voters. The question now is: will Scottish people ignore the downsides? There’s still plenty of time to have your say in our Yahoo UK readers poll – let us know what you think by voting below or leaving a comment. You can also check out our dedicated Scottish Referendum page, which has all the latest news, features, and analysis.